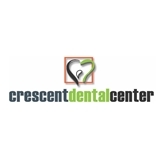 Crescent Dental Center (Pleasant Hill) - Book Appointment Online! The receptionist and technicians are really nice and worked with my insurance quickly. I hate having to go to the dentist but this was a great appointment in terms of effectiveness.